Here is our Local History Photo of the Week! This one is, as usual, an oldie, but a goodie! The record for this photo is completely blank. 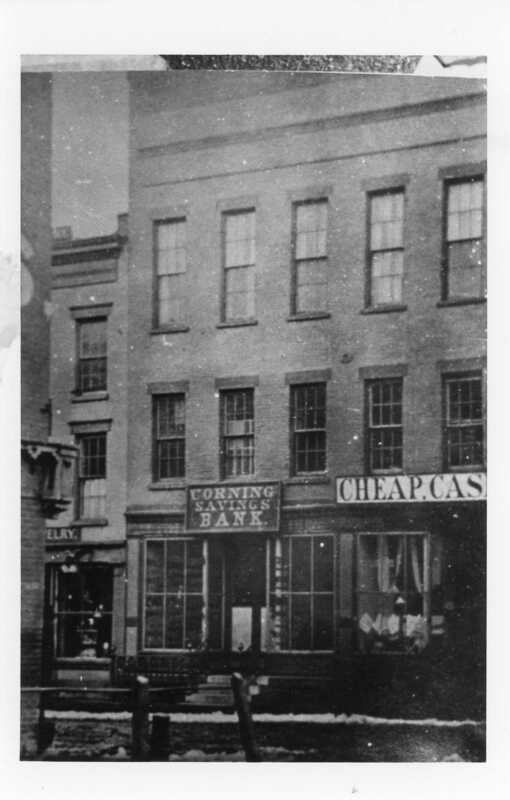 However, I think we can safely assume the photo is of the Corning Savings Bank! If you know anything about the old Corning Savings Bank – let us hear from you!